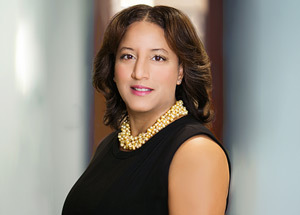 Nina S. Caudle is a founding member of RedTail Capital Markets, currently serving as Senior Vice President of Operations and Business Development. Mrs. Caudle brings to our company over 12 years of experience in Business Development. She strives to understand our clients’ current financial demands, future goals, and long-term vision; so we can construct a financial solution that best suits our clients’ needs. 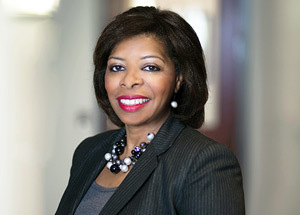 Mrs. Caudle began her career as a software engineer with firms in the technology sector, Unisys Corp., and Motorola Inc. At AT&T she used her expertise as a Design Engineer and Solutions Consultant to develop and deliver network application products and services for their large and mid-cap clients. Mrs. Caudle holds a BS degree in Electrical Engineering from Purdue University. 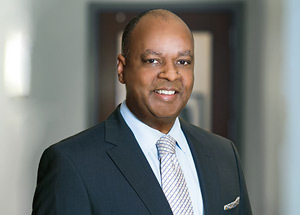 Mr. Caudle is a senior executive with over twenty five years of both domestic and international experience in the financial services industry. Prior to founding RedTail Capital Markets in October of 2013, he has held senior executive leadership positions at firms including American Express and Comerica Bank. At American Express, while leading its Global Strategic Planning Group, he acted as a strategic advisor to various business unit presidents and to the Chairman and CEO of American Express. Prior to his time with American Express, he spent 10 years with Dallas, Texas based Comerica Bank where he was the Senior Managing Director and Head of Corporate Investment Banking. Under his leadership, Comerica Bank launched its corporate investment banking activities from inception in 2001. Mr. Caudle led the efforts to grow the investment banking business from virtually no presence in the corporate capital markets to one of the largest super regional participating commercial banks with $350 billion in managed underwritings. He received the Chairman’s Circle Award several years straight for his leadership in investment banking sales production. Mr. Caudle also has an extensive Corporate Treasury background which includes; directing the start-up of the capital markets activities for Delphi Automotive Systems following its $28 billion spin-off from General Motors Corporation in 1999. He also served in a variety of leadership roles with both Ford Motor Co. and the Sears Roebuck & Co. treasury teams. He began his career on Wall Street in 1994 with the Merrill Lynch Debt Capital Markets Group. Mr. Caudle holds FINRA securities licenses Series 24, 7, 79, 63. He holds a B.S., in Electrical Engineering from the Purdue University, an MBA, in Corporate Finance from The University Of Chicago, and an M. Div., in Theology from Howard University. Gigs Taylor-Stephenson is Senior Vice President and Head of Compliance and brings over 25 years of industry experience in compliance training and education. Gigs has worked for firms to include Dean Witter Reynolds. In addition, she has been a securities compliance exam instructor with Stanley Kaplan and Securities Training Corporation. Gigs holds her FINRA licenses in the Series 7, 79, 63. Martin Moya serves as an analyst of investment banking for RedTail Capital Markets where he is primarily responsible for conducting industry/company-specific research, financial analysis, valuation, financial modeling, developing transaction marketing materials and assisting in the execution of M&A transactions. 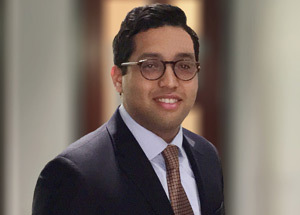 Martin has experience working alongside entrepreneurial led companies, family offices, private equity firms and institutional investors in the lower middle market space. Prior to joining the RedTail, Martin has worked on various advisory transactions ranging from mergers, acquisitions, debt & equity financing, early seed capital raises, debt repayment schedules (LBO) and restructurings. Martin earned his Bachelor of Business Administration in Economics from the Zicklin School of Business at Baruch College.